Detox is a trendy term (and a more and more popular activity), even if most people do not understand it correctly. Detoxing our organism should be a sustainable practice, which does not involve extreme dieting or starvation. Moreover, detoxing does not mean changing our entire diet into a vegan or raw one. This process means taking in foods that help protect our vital organs (such as liver or kidneys) with the aim of increasing our immunity and keeping good health. After the holiday season, going for a “quick detox” may sound tempting, but shock therapies (like the famous coffee enemas) cannot guarantee positive outcomes without significant potential dangers. Lack of energy, feeling full after meals or heightened irritability may be consequences of eating disorders. But treating only these symptoms does not solve the real issue: each unhealthy eating habit may create negative changes in our bodies, which can take months or years to fully remedy. Taking on a diet designed to protect our organism leads to increased immunity. The consumption of Vitamin C from natural ingredients helps the body in fighting germs. Zinc, iron and magnesium are also very important when it comes to resisting potential diseases. Vegetables and fruit are digested quickly, generating energy without giving a nasty, filled up, sensation in the stomach. Additionally, water and tea have an extremely important role in cleansing the body of toxins and increasing energy levels all throughout the day. By eliminating certain foods from our diet, like dairy products which create inflammations along our digestive tract, we can revitalize our kidneys, liver and other vital organs, thus ensuring optimal functioning for longer. Detox also means reducing sugar intake. When limiting or altogether eliminating sugar from our daily diet, glucose levels in the blood decrease and stabilize around the optimal value for our bodies. It is important to mention that the main goal of detoxing should not be losing weight. However this is usually achieved because of the increase in liquids consumption. Liquids will eliminate surplus fat from our bodies. During an entire detox course, you can experience exaggerated or peculiar cravings for certain unhealthy foods which you used to eat regularly (like fast food, cheeses, sugar or others). 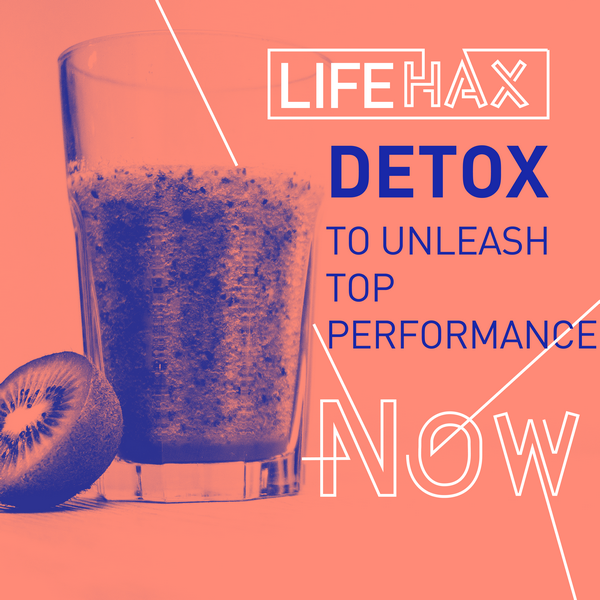 Detoxing will help you cleanse your body of those harmful foods and, even if the cravings may seem hard to overcome in the short term, on the long term your brain gets used to craving healthy foods. When we opt for detoxing, it is important to choose the best foods for our organism. There is no perfect recipe, no one-applies-to-all solution, so have the courage to experiment with more types of fruit and vegetables and adapt your diet according to what you like most and, especially, to what suits your body the best. Apart from this, always use advice from trustworthy nutritionists! For other articles which help you build a healthier lifestyle, please visit our blog.